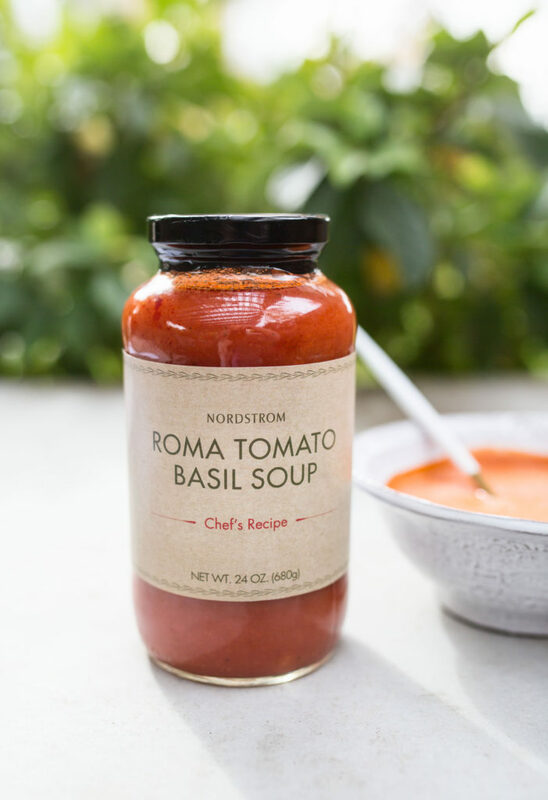 The most-requested recipe and most-ordered dish at Nordstrom’s Cafes is their world-famous Tomato Basil Soup. Their soup is available by the jar at select Nordstrom locations. If you don’t live by a Nordstrom restaurant, however, you may not have been able to enjoy this incredible dish. 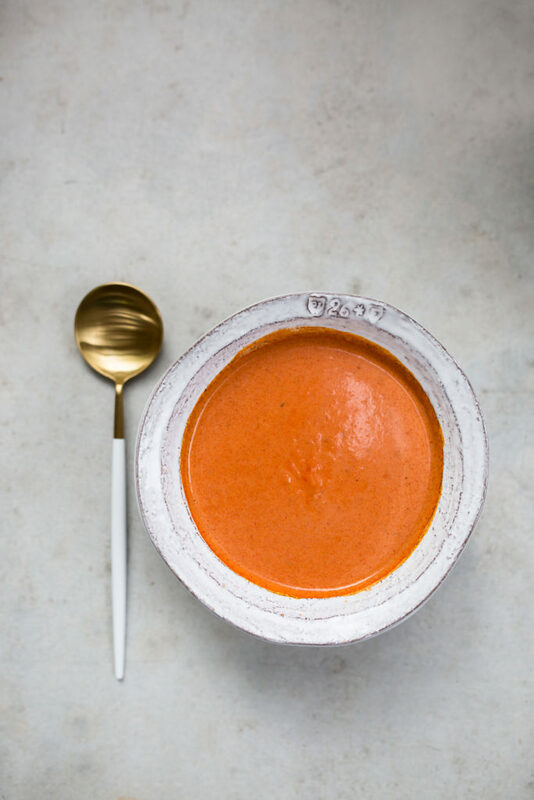 You’re in luck, however, because I’ve adapted the original recipe: Instant Pot Nordstrom Tomato Soup. 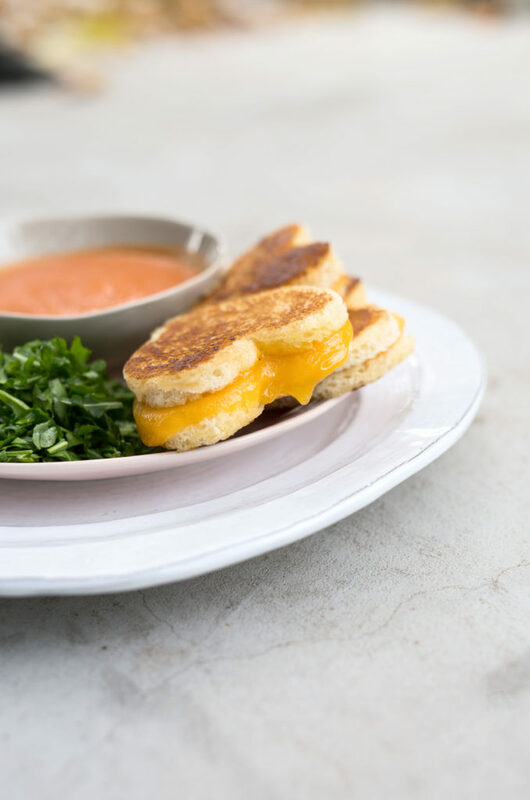 It’s delicious, fast (takes less than half of the time of the regular recipe), and easy because there’s only one dish to clean up (after you finish your soup bowl, that is!). 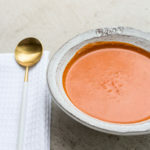 I’ve taken the best parts of Nordstrom’s original tomato basil soup recipe and converted it for an Instant Pot. If you live by a Nordstrom Restaurant, you can buy the soup by the jar. There are a few changes I had to make to convert the original recipe to an Instant Pot recipe, but don’t worry! I did a taste test with the original Chef’s Recipe from the jar (pictured above) and my adaptation. No one could tell the difference! The Chef’s Recipe calls for 2 cups of heavy cream, but because the Instant Pot doesn’t allow evaporation of any liquids, I was able to reduce this to 1 cup without changing the rich flavor. Bonus, because this reduces the amount of fat in the recipe by half! If you can’t do dairy or need to avoid it, try using coconut milk (full fat) as a substitute. 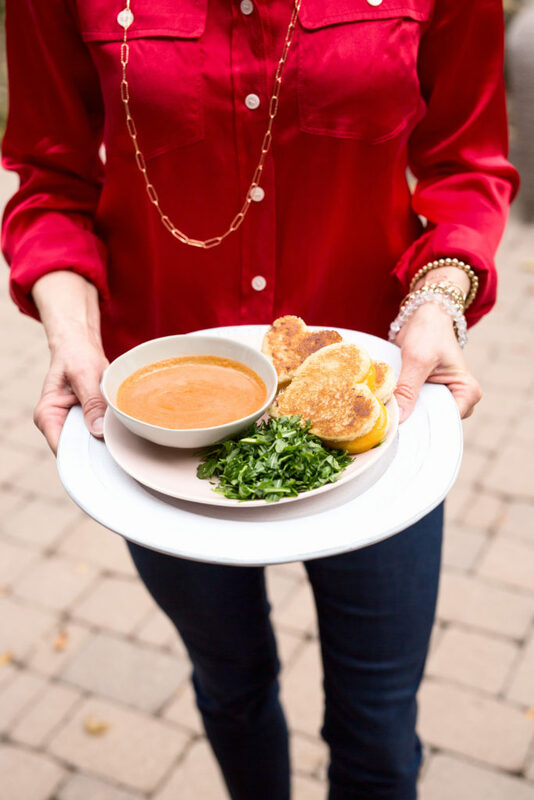 The most-requested recipe and most-ordered dish at Nordstrom’s Cafes is their world-famous Tomato Basil Soup. If you live by a Nordstrom restaurant, you can buy this by the jar, but if not, I’ve adapted it for the Instant Pot. It’s super easy and fast, because there’s only one dish to clean up (after you finish your soup bowl, that is!). Try to chop the carrots and the onions about the same size to ensure even sautéing. Turn the Instant Pot to Saute. Add the oil, then the carrots, onion and dried basil. Cook until softened, about 6-8 minutes. Add the tomatoes, the purée, and the broth and bring just to a boil. Press the Cancel button to reset the Instant Pot. Place the lid on, turn to seal and cook on high pressure for 5 minutes. Let pressure release naturally for 5 minutes, then do a quick release. Using a hand-held immersion blender, purée until smooth. Add cream and stir to blend. Season with salt and pepper to taste. Add ribboned basil for garnish. Not a drop was left when I served this at a recent lunch for my girlfriends! I love this soup and have fond memories of taking the children Christmas shopping after having lunch at the Nordstrom cafe. My hand held immersion blender just died (making too much fresh dog food) so I am hoping I can use my Vitamix in the interim?